The public cast nearly 16,000 votes for the Top 12 Jewish Star Talent Search finalists! Amazingly, there was a tie in the 14-18 age bracket – so we are thrilled to announce the SEVEN Jewish Star Grand Prize winners! 19-26 Bracket winners: Lucy Greenbaum (St. Louis, MO), Kenneth Lyonswright (Chicago, IL), Ian Simpson (Holden, MA). A huge mazal tov to ALL of the Jewish Star contestants. You are ALL incredible, brilliant lights in the Jewish world! 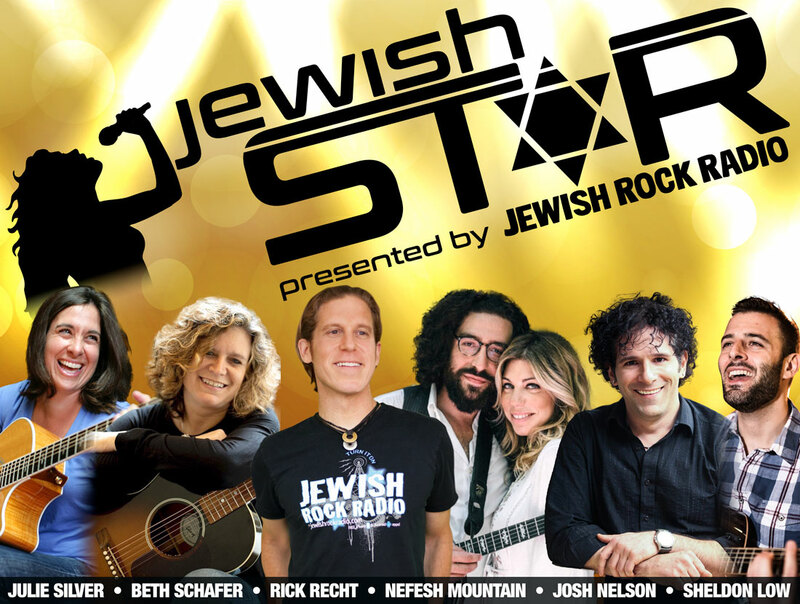 Jewish Rock Radio’s Jewish Star North American talent search is a new competition designed to identify emerging talent in the Jewish community who have a passion and desire to impact the Jewish world. A panel of international celebrity music artists will judge the applications to select the winners based on their vocal, instrumental, overall performance skills, and passion for impacting the Jewish world. The public will also have the opportunity via social media to contribute to the judging stage. Check out these videos from Season 1! Would you like to recommend a friend for the Jewish Star competition? Click here! Private mentorship from a internationally recognized Jewish celebrity recording artist. A professional studio recording session to record an original composition or a cover song from a pre-approved list of Jewish music artists. North American exposure highlighting winner artists on an exclusive Jewish Rock Radio show broadcasting the songs recorded by prize winners. A full scholarship to attend the 2019 Songleader Bootcamp (SLBC) National Conference for immersive coaching and skills training in February 2019. Prize winners will also be featured and perform live at SLBC. A panel of international celebrity music artists will judge the applications to select the winners based on their vocal, instrumental, overall performance skills, and passion for impacting the Jewish world. Judges will also serve as mentors to the 6 Grand Prize winners. 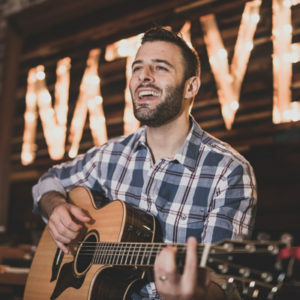 Sheldon Low is one of the brightest young stars in Jewish rock music today, performing over 100 rock concerts, ‘Light Up Shabbat’ services, seminars, and Artist-in-Residency weekends in Jewish communities throughout North America each year. With the release of “Life” in September of 2016, Low has five full-length album releases to his name. “If Not Now” was selected for Ruach 5777 and the single “Shehecheyanu (To Life)” was selected as the opening track for NFTY Ruach 5775 giving Low the distinction of being the only artist with opening tracks on two NFTY Ruach albums (Ruach 5767, Ruach 5775). Low’s previous recordings have been featured in numerous other nationally distributed compilation albums and both of his children’s albums (It’s All Challah To Me, Look At Me) have been distributed by PJ Library to tens of thousands of households around the globe. 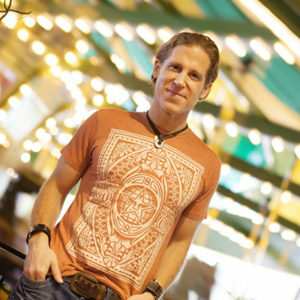 Over the course of his career, Low has been featured on the cover of L’chaim Magazine, Shalom TV, and radio stations across North America. Julie Silver is one of the most celebrated and beloved performers in the world of contemporary Jewish music today. She tours throughout the world, and has been engaging audiences with her gorgeous compositions and liturgical settings, her lyrical guitar playing, her dynamic stage presence, and her megawatt smile for over 25 years. Although she resides in Southern California, Julie’s roots are deep in New England. She was raised in Newton, Massachusetts and by the time she was 18, she was leading raucous song sessions throughout the Reform Jewish movement and playing coffeehouses in and around Boston. Eventually, she would become one of the most sought-after song leaders in the country. She graduated from Clark University in Worcester, Massachusetts and was selected by her senior class to deliver the commencement address and sing an original song at Graduation in May, 1988. It was her first audience of thousands—the first of many. Beth Schafer continues to redefine Jewish music by combining masterful songwriting with sensitivity to liturgy and unique insight toward text. 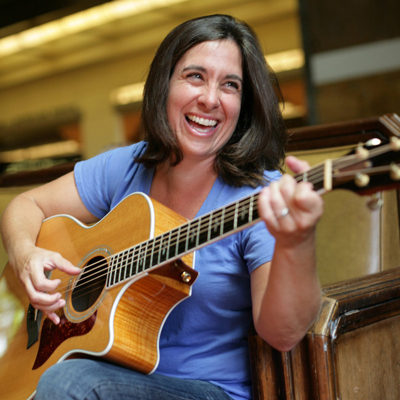 She specializes in music for Torah-minded adults looking for an extension to their Jewish lives through music. What makes her music special is her attention to the universal themes that not only define Judaism, but many other faiths as well. Beth Schafer won the 2006 American Idol Underground Faith Based competition and has used that win to create new music for interfaith communities. 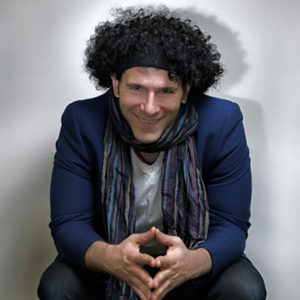 Schafer has degrees in Music Theory and Composition from the University of Miami School of Music and is a trained and much sought after guitarist in styles ranging from Classical to Blues, Folk to Jazz. 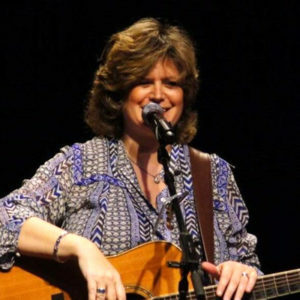 The multi award winning singer, songwriter and author Doni Zasloff is a beloved presence on stage throughout the country and is regarded as one of the most influential Jewish Performers in the twenty-first century. Her unique backgrounds in singing, musical theatre and Judaism make her one of the most in demand and unique artists today, and she brings these multi-faceted talents directly to Nefesh Mountain. With Nefesh Mountain Doni continues to enchant audiences all over the world with her voice and unlimited spirit and her words, melodies, and music. Multi-Instrumentalist Eric Lindberg brings his Jazz and Classical background to the acoustic forms of Bluegrass and Old-Time music. After graduating with honors from Mason Gross School Of The Arts with a degree in Jazz performance he has toured extensively throughout the United States, Europe, and the Middle East. His influential work as a composer, singer, guitarist, and banjoist with his wife Doni Zasloff in Nefesh Mountain are known widely in the Jewish and Bluegrass worlds today. 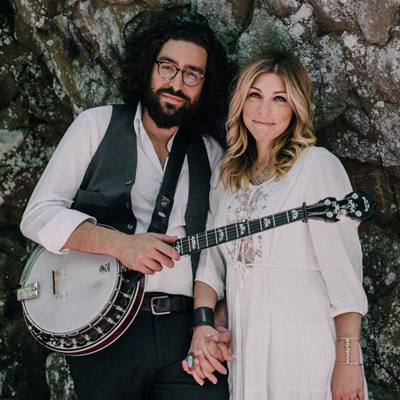 One of the most popular performers and composers in modern Jewish music, Josh Nelson brings his extraordinary message of hope, unity and spirituality to concert stages and worship services across the globe. Josh is a gifted multi-instrumentalist and songwriter whose work is celebrated and integrated into the repertoire of congregations, camps and communities around the world. Rick Recht is one of the top touring musicians in Jewish music playing over 150 dates each year in the US and abroad. Rick has revolutionized and elevated the genre of Jewish rock music as a powerful and effective tool for developing Jewish pride and identity in youth and adults across the US. Rick is the national celebrity spokesman for the PJ Library and is the Executive Director of Songleader Boot Camp – a national songleader training immersion program held in various cities around the U.S. Rick is also the founder and Executive Director of Jewish Rock Radio, the very first high-caliber, 24/7 international Jewish rock online radio station! Rick is also the Executive Producer of PJ Library Radio. Recht is the Artist in Residence at United Hebrew Congregation in St. Louis, MO. You must be between the ages of 14 and 26 to audition. Only one Video Audition will be accepted per contestant. If you are under age 18, you must have parental permission. You must be a resident North American citizen (United States, Canada, or Mexico). After making your video, you must submit your video in the Audition Form (below). In your Jewish Star video audition, you will sing a song that highlights your musical ability, voice, and ability to connect to an audience. Your Song: Your song must be an original composition OR chosen from the catalogue of any of the approved artists (below). If you chose a song from the approved artists, you do NOT need to ask permission to play their song in your audition video. These artists have already granted you permission to use one of the songs in their catalogue for your audition video. The song should be about an identifiable Jewish theme, value, or holiday. Choose a song of any style, topic, or tempo (ie. upbeat or ballad). Most importantly, choose a song you feel will best highlight your voice, musical ability, and performance style. Playing an instrument (ie. guitar, piano, etc.) is fine and singing acappella is also totally fine. Use your phone or computer to record a video of you singing a Jewish song. Do not over-edit your video. We prefer stripped down performances that show your personality and talent (even if it’s just you singing in your living room or backyard!). It is important that you record your video with your camera positioned horizontally. It is important that we can see and hear you! Please check the audio on your video before uploading. Do not use a background track. You can accompany yourself if you play guitar or piano, or you can sing a cappella! Do not use auto-tune apps such as Smule or StarMaker. You are unique in your own way! Show us your personality and energy, and have fun. Judging criteria will not include video or sound quality. Please DO NOT submit a highly produced, multi-camera video. Submissions have closed… judging is now underway! Q: What is Jewish Star? A: Jewish Star North American talent search is a new competition designed to identify emerging talent in the Jewish community who have a passion and desire to impact the Jewish world. Check out the about section for more detail. A: Young adults ages 14-26. Q: Can I vote? Does the public vote? A: Yes! Judging will be open to the public after the top 12 finalists are released. The public will determine the 6 grand prize winners. Q: I know the perfect person, how can I submit their name? A: Send them to this page and encourage them to enter! Q: I’m under 18, do I need parental permission? A: Yes. If you are under age 18, you will be required to include a parent or guardian’s email address. A form will be emailed to your parent or guardian for their consent. Q: Did you receive the video I submitted? When will I hear back? A: You will receive a confirmation email after submitting your application. Every video received is reviewed! We will announce the top contestants on Jewish Rock Radio’s Facebook page. Due to the volume of submissions that we receive, we are not be able to respond to inquiries about submission status. Q: I changed my mind and no longer want to be considered. How can I cancel my audition? We would like to express our deepest gratitude to Scott Harris – the visionary and lead organizer of the Jewish Star initiative. We would also like to recognize the following individuals who have generously contributed to support the launch and operations of the inaugural Jewish Star North American talent search. Finally, huge thanks to the Jewish Rock Radio board of directors for your commitment and dedication to strengthening Jewish identity and engagement for future generations.